ACS is an established, credible and influential voice for the local shop sector in Government. ACS ensures that local shops are heard at national, local and European level. This is achieved by remaining plugged into key decision makers within Government and Parliament. ACS is calling on all Police and Crime Commissioners to pledge to ensure that police forces take shop theft and abuse of staff seriously, and that they respond to incidents where they’re reported. Figures from the 2019 ACS Crime Report show that theft alone costs each convenience store in the UK an average of over £2,200 a year, with retailers fearing that incidents of theft are the main trigger for abuse of staff in stores. A recent report from the Centre for Social Justice also highlighted the wider social problems linked to shop theft, reporting that up to 70% of incidents are motivated by substance addiction. Warwickshire Police and Crime Commissioner, Philip Seccombe said: "I welcome the work of the Association of Convenience Stores and I very much support their aim of challenging and dealing with shop theft and business crime. I regard the ACS as a valued partner. I have made it a key priority in my policing plan to address business crime. I fund a business crime advisor who works with Warwickshire businesses and partners. Our ‘Your Business Matters’ Campaign is typical of my commitment. There are many competing priorities in policing but I will especially not tolerate violent and prolific offenders in our local shops. I will continue to work with all our partners to ensure all aspects of Warwickshire communities are as safe as they can be and that the policing resources are there to help achieve that aim." 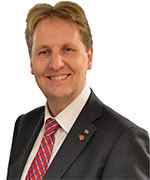 Staffordshire Police and Crime Commissioner Matthew Ellis said: "I started a retail business aged 18 and built it into a successful enterprise which I sold 15 years ago. Criminality including theft, 'hold ups' and shoplifting almost sunk my business in the first few years. First hand experience at a young age of the challenges retail has around criminality is the prime reason why, as PCC for Staffordshire, I introduced the first comprehensive policy to tackle business crime here. It is also why a specialist service to support all businesses as victims was established. I strongly support the principles, the ethos and the work of ACS in tackling crime against retailers big and small which is why retail as well as wider crime against businesses continues to feature strongly in the strategy I set out in 2014." Commenting on the Centre for Social Justice report, Desperate for a Fix, Nottinghamshire Police and Crime Commissioner Paddy Tipping said: "We all recognise that the police are stretched. That's why it's vital that we work together to tackle shoplifting. I fully support this report and its' recommendations." 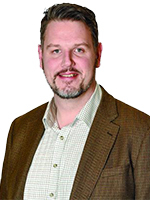 Gwent Police and Crime Commissioner, Jeff Cuthbert said: "Theft from retail premises is not something that any Commissioner can accept and those that consider doing this should think again because action will be taken." 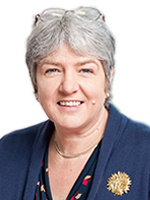 Merseyside Police and Crime Commissioner, Jane Kennedy said: "Nobody should go to work fearing violence, threats or abuse. Shop workers provide a valuable service to our communities. The impact of criminal attacks on shop premises can be huge and have significant long-term effects on both employees and businesses. This is why I welcome Merseyside Police’s decision to continue their campaign on retail crime and invest significant resources to combat shoplifting and robberies at premises across the region." 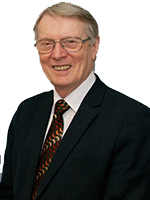 South Wales Police and Crime Commissioner, Alun Michael said: "I take shop theft seriously and as an MP for 25 years, I was a member and strongly supported the All Party Parliamentary Group on Retailing so am aware of the challenges faced by shopkeepers. As you will appreciate however, shop theft is an offence amongst many that has to be tackled by South Wales Police and I would underline the fact that the resource provided by the Government through the Police Grant has been cut by a third since 2010. Despite that, we take a vigorous approach through tackling offending in relation to our communities and intervention to prevent crime, including shop theft"
Avon and Somerset Police and Crime Commissioner, Sue Mountstevens said: "More than 11,000 offences of shoplifting were reported across Avon and Somerset in the past year and I don’t underestimate the significant financial implications of this on the retail industry. Working together we need to make it harder for business crime to be committed through increased security, stronger intelligence-gathering processes and greater partnership working between retailers and locally I’ve set up a Business Crime Forum to support this. To truly tackle shoplifting, working with partners, we also need to better understand why the crime is being committed in the first place. For example, if an offender is shoplifting due to a substance misuse problem, we need to help them break the cycle of crime." West Mercia Police and Crime Commissioner, John Campion said: "As commissioner I pledge that I will provide West Mercia Police with resource continue the fight against business crime in West Mercia and to ensure that the Force always respond promptly to shop theft where violence is involved or where a suspect is detained. I will ensure funding is available to tackle reoffending, particularly prolific reoffenders with drug dependencies and organised criminal gangs. I will both support and financially support partnership working in my force area through local partnership schemes to promote retailer led crime prevention, developing and sharing best practice with retailers, and encouraging them to report shop theft. I will continue to support the retail sector to ensure they are taking all appropriate action to reduce business crime through store design and management." 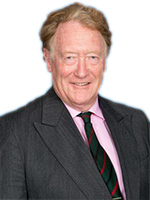 Thames Valley Police and Crime Commissioner, Anthony Stansfeld said: "I totally support tackling shop theft. This initiative is important and it reinforces the need to prevent shop lifting. It is not a minor crime, for some criminals it is a way of life, and damages small shops to the extent of making some unviable. It is not an easy crime for the police to prevent, but I expect the police to fully support small shop owners." An Early Day Motion tabled by All Party Parliamentary Small Shops Group chair Ruth George MP on the importance of dealing with shop theft has received cross party support from MPs. Early Day Motion 1415 has received signatures from members of the Labour Party, Conservative Party, SNP, Plaid Cymru, Liberal Democrats and the DUP. Use our postcode tool to send your MP an email asking for a store visit in your constituency. Engaging with an MP in your store is one of the best ways to voice your concerns about the issues that affect your business, whether they are local issues like parking or planning or national issues like business rates and rising employment costs. If you would like a constituency card to send to your MP, please contact Chris Noice at chris.noice@acs.org.uk. Constituency cards contain specific information about the number of convenience stores in your constituency, as well as the number of jobs that those stores provide; a breakdown of the profiles of staff, and key information about store owners in the area.